After being made redundant 4 times many years ago, I decided enough was enough and began working for myself. As a result and for almost 30 years now, I’ve been successfully helping small businesses to start-up, survive and prosper. I'm proud to say that I'm well known and in-demand on the UK seminar and lecture circuit having helped over 25,000 businesses through my seminars, workshops and more recently with my books. Recently I have returned from retirement to help businesses survive and prosper in the current recession. 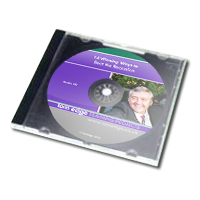 We have recently recorded an audio CD called "14 Winning Ways to Beat the Recession". On the back of which I am running seminars nationally called "14 Ways to Beat the Recession" (available to buy within the Tools to Help You section). 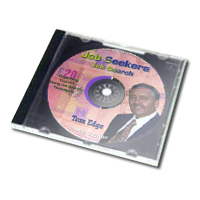 During the Rover Crisis I also recorded a progamme called "Job Seekers - Job Search" which is designed for redundant workers to help them find their ideal job (available to buy within the Tools to Help You section). To see how I've helped others and how I CAN HELP YOU, just read some of the many testimonials I've kindly received from seminar / workshop delegates and from customer organisations on my Testimonials page. Get help and proven, practical advice on how to make / increase your profit and make more money NOW! Just order any of my CDs or Books via this website by clicking on the Tools to Help You in the left navigation bar – some are currently on SPECIAL OFFER!.